There is a point where the beginning and the end is indistinguishable. Yesterday, as I looked into the horizon, I wondered if the pier here at Soma Bay ended at the horizon or whether it simply kept on and on beyond my scope of vision? As humans, we like to look towards the ends of things; we like to draw conclusions. We live with end goals in mind. We look towards the event at the horizon as some kind of finishing. This is a constant battle in life and in practice. How do we fully be present in the moment when we are constantly looking beyond? How do we motivate ourselves in the present without constantly grasping at some projected future, allowing expectation to creep in, as does desire, followed by the accompanying suffering when things don’t go our way. How do we come to the mat, make our best effort, without grasping at the idea that we will conquer that supposed next penultimate posture, the next promotion, the next accolade? Looking out at the horizon here yesterday really got me thinking. How irresistible it is, this wanting to look beyond where I stand at the present moment. But also how this insatiable need to go beyond supports the recognition that there is simply more. But what if this something more isn’t about finishing a race, what if it is about reaching a point where all things meet, like that point in the horizon, where the sky, the ground, the sea, all of it come together, where all ends and beginnings meet? 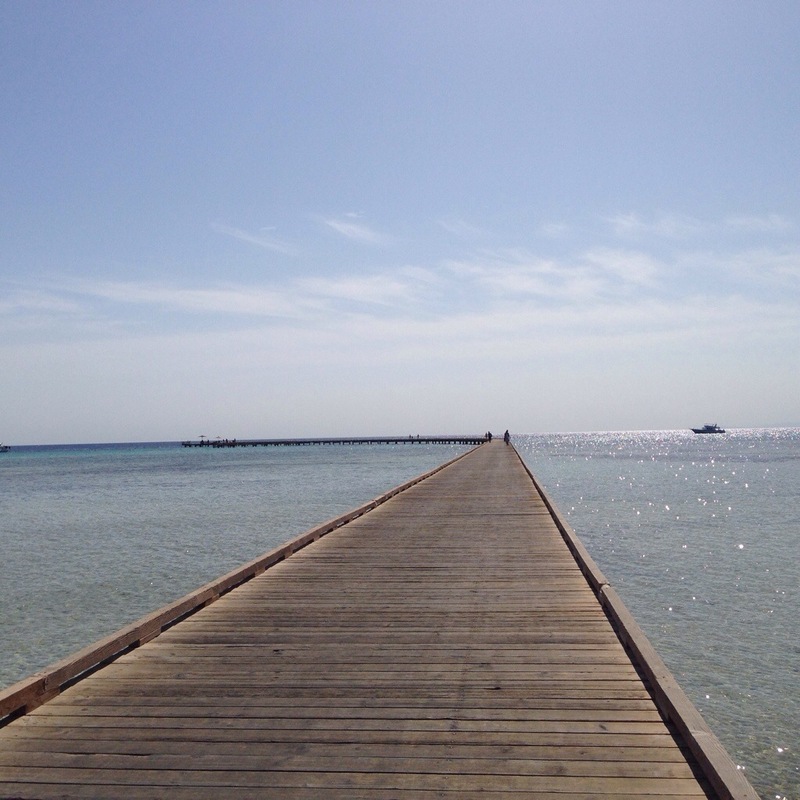 PHOTO: Pier at Soma Bay. First full day of our Yoga & Detox Retreat. Classes Today is about exploring this thing called yoga, what it means to be in yoga, to be in that precious state of union.